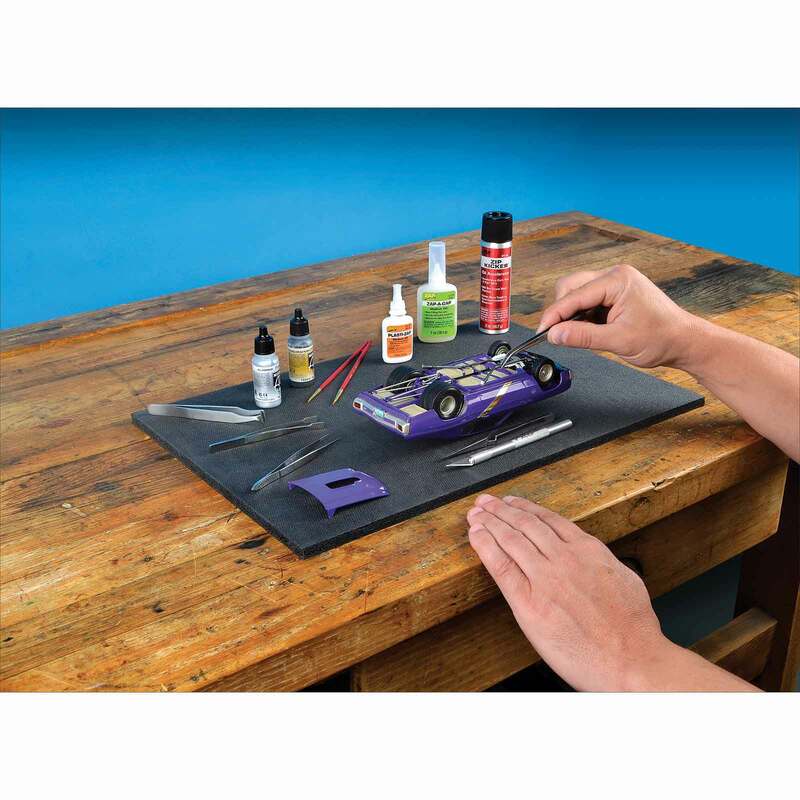 Place this mat on your work area to prevent scratches, paint abrasion, dings and dents that can ruin your project. Made from closed-cell foam in just the right texture and stiffness to keep models from sliding around while you work. 12 inches x 18 inches x 3/8 inch thick. Model, tools and supplies not included.